“The path of the righteous man is beset on all sides by the inequities of the selfish and the tyranny of evil men. Blessed is he who, in the name of charity and good will, shepherds the weak through the valley of darkness, for he is truly his brother’s keeper and the finder of lost children. And I will strike down upon thee with great vengeance and furious anger those who would attempt to poison and destroy My brothers. And you will know My name is the Lord when I lay My vengeance upon thee”. Cast: John Travolta, Samuel L. Jackson, Uma Thurman, Bruce Willis, Ving Rhames, Harvey Keitel, Quentin Tarantino, Christopher Walken, Amanda Plummer, Tim Roth, Rosanna Arquette. Safe choice Forrest Gump famously beat this one and The Shawshank Redemption at the ’94 Oscars, igniting the fury of cinephiles around the globe. I don’t know how much I could really add to the torrent of praise Quentin Tarantino’s big breakthrough has received since its release 18 years ago. If I had to point out one flaw, it would be that the Bruce Willis storyline is a little weak. That’s not big enough to spoil the whole movie, but it’s not small enough to go unnoticed. Being a Tarantino film, the writing is, of course, excellent. The screenplay, an Oscar-winning collaboration with Roger Avary (whose main contribution was coincidentally the Willis storyline), is his best yet. The all-star cast does an amazing job, Samuel L. Jackson being the clear standout and the most intriguing character. He was blessed with Tarantino’s very best lines of dialogue. There are other interesting characters getting into increasingly entertaining situations, but you could take only Jackson’s scenes and make a damn fine movie with them alone. I really have to see this again sometime. It’s been too long. I used to watch this religiously when I was a youngster. I have to say though, I liked the Willis storyline. He gets the two most surprising scenes. Tea okra existing the toilet and Rhames getting a little tender loving care from Zed. Quality stuff. Haha. I know, I thought I’d better explain. They went through all this time to invent autocorrect, but did they ever happen to think of an autocorrect that could analyze the context of the sentence to try and guess which word one means? Honestly, if it comes to mind for a daily sufferer of autocorrect, it should for whichever idiot invented it. Maybe they couldn’t pickup on you meaning to say Travolta, though, unless there’s, like, an autocorrect: movie edition, haha. Now there’s a niche in the Market – a movie edition of auto correct. 😉 it’s a pain the arse and what the f@#k does “Tea Okra” mean anyway? It’s makes no goddamn sense. Lol. You should see it again. I rewatched it this weekend after several years and found out I still remembered a lot about it. I liked it even more this time around. The dialog, as I said, is superb. About the Bruce Willis storyline, I think the part with Travolta exiting the toilet and the whole pawn shop incident are two great isolated scenes but, as a whole, it doesn’t do it for me. I can’t stand the scenes with his annoying girlfriend. I have to agree on his girlfriend right enough. She is very irritating. Can anyone really be that innocent and naive at her age? I really love how you included the names of the associated stars, writers, and director. Will you do that for your reviews in the future?? Great review. As for this movie, I’ve heard so much about the hate on Forrest Gump because it took the Best Picture Oscar away from this and Shawshank. I loved Shawshank when I first saw it (http://themoviefreakblog.com/review-the-shawshank-redemption/), and even though I loved Forrest Gump when I first saw it almost four years ago now (and gave it three or four more watches since then, because it was, at one point, one of my absolute favorite films), I can’t fathom why it would win. However, I don’t think I’ll be seeing Pulp Fiction until I’m at least 16 or 17 years old. My parents say it’s a film they’ll NEVER let me watch, because it’s so violent, profane, and demeaning to women…but you never know, I might happen to see it on TV in a few years or so. 😉 I do agree with them that I should hold off on Tarantino; I read the screenplay for Reservoir Dogs when I was in 5th grade, and I’m still brutally scarred. Thanks. Yes, I had thought of adding those things to my reviews, and a quote from the film, for a while now. I will keep doing that from now on. It makes the review feel more complete. You should check out Pulp Fiction. I agree that it is violent and profane (although it’s not as shocking because both are considerably softened by great comedy) but I didn’t feel it was demeaning to women. Maybe we need a woman’s perspective on this. I managed to convince my mother to rent this when I was 14 (she’d never heard of it) and I wasn’t allowed to pick the movie for about 3 years after that. Great film though, and nice review. This could be my favourite Tarantino movie actually. I’m like you Mark, haven’t seen it in years though I bet I could probably still quote every line! Yeah, I think I was about 15 or 16 when it ame out. It was the first film I went to cinema to see more than once and when I got a copy of it, it was never off my TV. 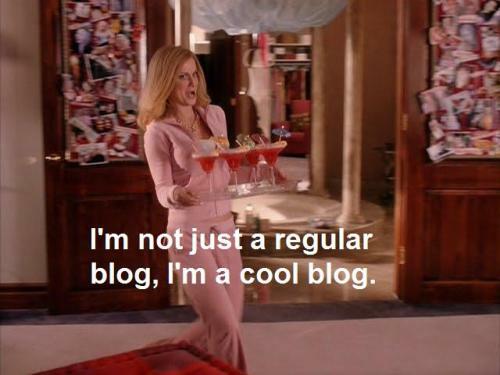 I could probably quote every line too. This and Reservoir Dogs were my staple movie diets back in the day. I was 4 when it came out! haha but I watched it for the first time when I was about 17 or 18 and when I rewatched the other day, I found out I remembered more about it than I thought. I want to see it again just to see SLJ in action. Any reason to watch Pulp Fiction again is a good reason 🙂 And I can identify about what you said about Tarantino hitting the scene just as you were starting to take movies seriously. A similar thing happened to me. Watching Tarantino’s Kill Bill, made me realize I loved movies. I’ve been hooked ever since. Haha, probably 14 is still a very young age to first watch that movie. This is my second favorite Tarantino movie, the first being Kill Bill, which is my favorite movie, period. And thanks! I have come so close to putting this one on and choosing something else but I keep thinking about it. Great review, as always! Thank you, Andy! You should give it another spin soon. It’s such a classic. Jackson is indeed wonderful here, but I was very surprised with Wilis’s performance, he was fantastic and should get Oscar nomination. I totally agree. This is one of Willis’ better performances along with 12 Monkeys. Yeah, the dance is a pretty cool scene. Travolta and Thurman have great chemistry. They reunited for Be Cool, which is a very flawed but still fun movie. Great piece, but I gotta take issue with you stating that Forrest Gump was the “safe” choice. I think I loved Gump/Pulp/Shawshank equally for wildly different reasons, but really, they were all innovative and profoundly moving. There was nothing safe about Gump winning. It deserved it, just as Pulp and Shawshank would have too, if they had won. Such a tight race, man. I can’t believe it was 18 years ago. Yeeesh. I think Gump gets a bit of stick these days because it beat these other two classic film’s. It’s a great film on it own right but I think it won because it was such a pro-American movie. The type that the academy adore. It was a great year for films then and it was a tough call but personally I think Pulp should have won for it’s sheer originality. Gump tread some of the similar ground that Steve Martin had already done in Dead Men Don’t Wear Plaid and Woody Allen had covered similar stuff also. Gimp was good but not original. I hear what your saying Dave. If all three film’s were released in separate years, all three could have easily taken the award. Unfortunately, they all had to compete. It was a great year though wasn’t it? We were spoiled. Yes, this is exactly what I meant when I said that Gump was the safe choice. I’m not saying that it’s a bad movie or that it didn’t deserve to win. The Academy voters had a difficult choice. That was a great year. Great discussion you had going there. Thanks for commenting! Yeah, you’ve asked me before. I actually think it’s a good idea but I’ve been so busy. Besides, I’m not sure how to do that. Could you guide me through it? Technology is not my forte, hehe. First, create a page–not a post–for the index to be on, and name it something like “Index of Reviews” or “Reviews A-Z”. If you have enough reviews that would keep someone scrolling down forever on the page, you might want to split it into two pages, maybe “Reviews A-M” and “Reviews N-Z”. Next, open a new tab or window (a new window is most useful) and go to your dashboard, then click on the option that says “Posts”. Go through your posts and look at all the names and list them alphabetically. I doubt there’s something WordPress has to do the alphabetizing for you, so what you would do (I’m looking at your most recent reviews now) is you would enter Pulp Fiction, then above that enter The Avengers (or Avengers, The, so that it doesn’t look like something that should be below Pulp Fiction because of starting with “T”), then below both of those enter Sweeney Todd: The Demon Barber of Fleet Street, and so on. The next part is to add links, and all you have to do is be able to know the “slugs” (I think that’s what they call it), or the links to the posts that come after the main URL. It’s basically the post’s name, except spaces become dashes, and those extra symbols like apostrophes aren’t there, either. And you don’t need the year number in there. Then you highlight the text and add a link to that review. What a fantastic review, Fernando. 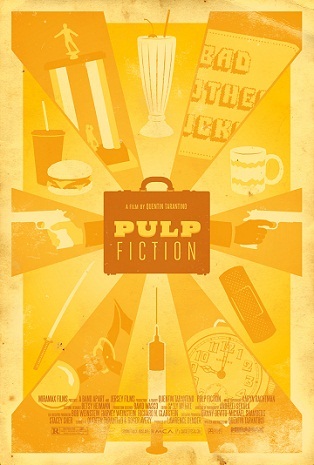 So fantastic I’m itching to watch Pulp Fiction again! Thanks Amy! You’re too kind. I’m blushing haha! And yeas, you should see it again. Hello Fernando, nice review. i wish you had given it 5 stars, but i guess i can understand youre feelings towards Bruce Willis storyline. The writing, screenplay, and acting of the movie was excellent . almost every scene is engaging. the ending scene was my favourite, involving samuel jackson, tim roth, john travolta, and that british actress (the one robbing the restaurant with tim roth). Thank you, Martin! And thanks for the follow as well 🙂 I wanted to give it 5 stars but I just couldn’t, hehe. I still love it, though. That ending scene is indeed very cool and that actress you talk about is actually American. She’s Amanda Plummer, Christopher’s daughter! your welcome Fernando. i am surprised, but i havent seen the movie in a while. She played the role so well with an accent. And speaking of Christopher Plummer, i don’t think they have a resemblance. He is a great actor and I thought he was excellent in the Insider with Al pacino. just to clarify, i am surprised that she is american…. ..and i am surprised that she is christopher plummers daughter.. I should watch this again. It’s been years. Great review as always, Fernando! Well, I haven’t seen Jackie Brown yet but not seeing Pulp Fiction is way more shocking. It is undeniably a classic. And thanks! Bring Out the Gimp? That’s class!! I expect your rivals should be called Zed’s Dead Baby? Lol church teams? Even better. Lol. This story just keeps getting better. Easily in my Top 3 of all time. Thanks for commenting. I agree! Whoa! This is the 61st comment! Yet I remember a time not too long ago when I was one of your only followers. 😉 Quite impressive! Thanks 🙂 I’ve come a long way, hehe! Expect new reviews soon. My schedule is starting to clear up a little so I’ll finally have time to watch movies and review again! Did you graduate? Do you know what your next reviews will be? Not yet. Graduation is in September. I am just about done with this semester but I still have to take another class. That will last about 4 months, but I have a tiny break in between. Aend I have no idea what I’ll be watching and reviewing. I’ll let you know. Great post, this film has one of the best soundtracks I’ve ever heard and the writing is superb. Thanks! It really is. Tarantino wholly deserved that Oscar. Samuel L. Jackson is brilliant, too. Well…I tried watching this tonight with a lifelong friend who was also dying to see it (at least he was allowed). Got over an hour into it and I’m dying to watch more. Let’s just say that when you have a piss-poor father, and you try to admit to him that you watched 40% of a movie he’s told you not to watch, he’ll blatantly tell you he DOESN’T appreciate your honesty. At least I got a kick out of it. My father’s also a coward, so he just stormed upstairs and beat up on himself as usual. No consequence for me, as far as I know. I went on a rant and told him how defenseless he was and he seemed to just soak it all in as if I were giving him one of my many compliments that he never cares to accept. I hate him so much. But when I say it to someone, they’d best know I’m not joking.